On Sale Now! Save 5% on the Desantis NY Undercover For Glock 17 Right Hand Tan by DeSantis at Freedom from Government. MPN: 11DTAB2J0. Hurry! Limited time offer. Offer valid only while supplies last. The New York Undercover has been around since the early 1970's. It has gone through numerous revisions since then and now is in its finest form. The New York Undercover has been around since the early 1970's. It has gone through numerous revisions since then and now is in its finest form. 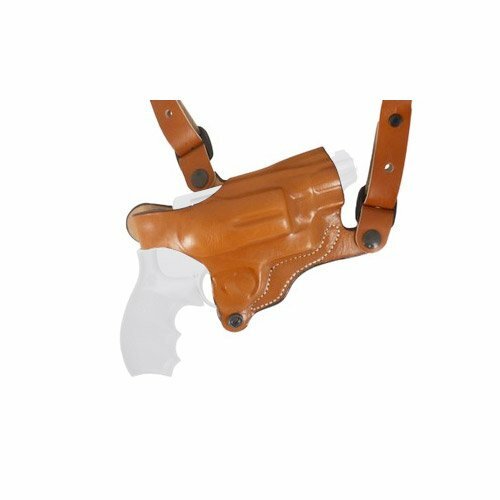 This shoulder holster is crafted from top-grain cowhide and is molded to fit the exact firearm it is designed to carry. Each rig is shipped fully assembled with a double ammo carrier. Additional accessories are available separately. This harness will fit up to a 54" chest and pivots at all four junction points.